Have you ever dreamed of changing your life and becoming a dive professional? Are you tired of the 9 to 5 drudgery? Do you hate that three hour commute every day? Well dream no more! We are here to make your dream a reality! if you are reading this now, then chance are that, like all of us here at Thresher Shark Divers, you LOVE scuba diving and want to make it your life. Whether you just want a two month break, a year out of 'normal' life, or want to change your career forever, we will make that happen! In as little as one-two months you can change your life forever with the TSD PADI Diving Internship Program. At the end of the program you will be a PADI Divemaster or PADI Dive Instructor able to work in almost any country in the world. Soon you will have a 'job' doing something you adore - diving. Your day will pass in the blink of an eye and you will find yourself looking forward to getting up in the mornings! What more satisfying career can you imagine than giving joy to people every day doing something you yourself love? Your commute will be a 5 minute walk down a palm-fringed beach and your office will be mere metres from the aqua blue sea. What better place to learn all about diving than in one of the prime spots for diving in the world. Dive with shark dives EVERY DAY! See an incredible variety of marine life and many of the rare creatures that experienced divers drool over. 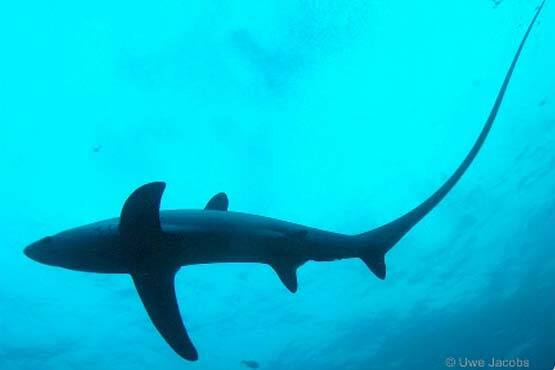 The Thresher Shark Divers PADI Divemaster or PADI IDC Instructor internship lasts anywhere from four weeks to eight months and is perfect for anyone who really wants to make a change in their lives. It is also a great way to spend a few weeks or months if you are on your GAP year, or traveling the world. Have you ever dreamed of living on the beach, waking up to a morning swim in the warm sea and siestas spent swinging in a hammock under palm trees? Well now you can! TSD is a well established PADI 5 Star Dive Center and a PADI CDC (Career Development Center). CDCs are the elite of PADI Dive Centers, there are only a handful in the world and the rating denotes a proven dedication to training professional candidates. We are known for our professionalism, safety, but most of all for our fun approach to diving. 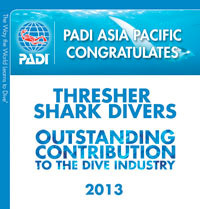 Thresher Shark Divers makes it easy for you to achieve your dream from the beginning to the end. The choices can seem overwhelming at first, but we break down all your options and expenses into an easy to understand format. And you have the option of an all inclusive package that takes the worry out of everything. We will train you from beginner or current level on up and at the end of it you will be a competent and professional PADI Divemaster or PADI Instructor, ready to find work anywhere in the world! If you don't want to do a full internship you can just do the courses 'a la carte'. 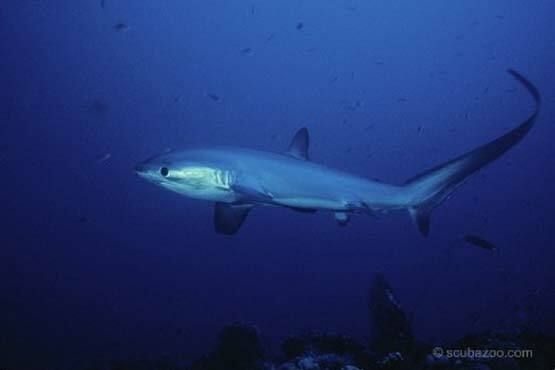 See the Thresher Shark Divers website for more info. Our Premium Package includes everything you need during your stay. The only exception is food and drinks, which we think you would prefer to find yourself. 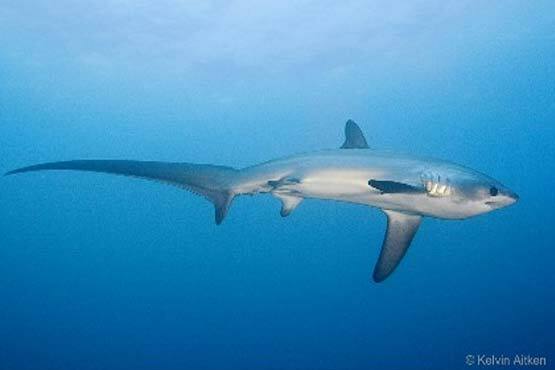 Bonus: PADI Thresher Shark Diver specialty course, unique to TSD! We work hard but we make sure we enjoy every minute of it. Each of our instructors has been through PADI's rigorous training program and has reached the level of at least PADI Master Scuba Diver Trainer although most are PADI Master Instructors. They each have different experiences and specializations and you can learn something different from each instructor. The dive shop is run with the highest degree of professionalism and we do not cut corners in any way. White sand, deep blue seas, palm trees and amazing sunsets every day. Paradise. As well as getting a top quality diving education, you will get to experience some of the best diving in the world. 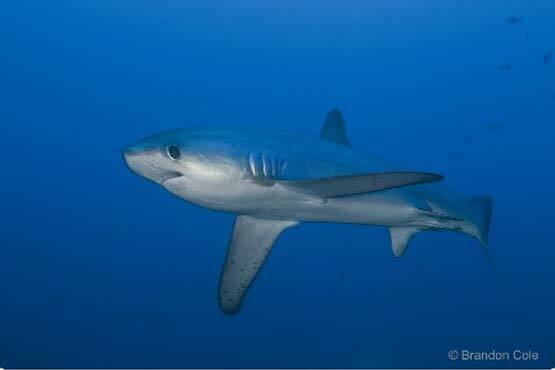 Free diving is included in the the package which includes our daily shark dive. We offer several standard packages, but we will tailor a program suited to your needs and budgets. After your initial contact with us, we will discover your needs and design a suitable program for you. After you arrive you will be treated as an individual. You will not be just one more intern among a mass of many. Class sizes are very small and often one-on-one. "Thank you for a great time at TSD. It has been a challenge, hard work and some long days, but worth all the struggle! I have had the time of my life there and thanks to a very dedicated instructor team, I feel my diving skills has been moved to a very high level. I would with out doubt definitely recommend TSD to other divers." And if you need any more convincing, take a look at the steady stream of awards we have received over the years for our continued excellence and professionalism!